Many Aqua Pure Premium Water customers love our water because it tastes good. But, with an advanced seven-stage filtration system, our water is also good for you. In addition to 24-hour water refills, our Kamloops water shop carries an assortment of filtration equipment, replacement filters, and water testing supplies. For Kamloops and the surrounding areas, we offer premium water deliveries for homes and offices. These flexible plans may be your most convenient option. 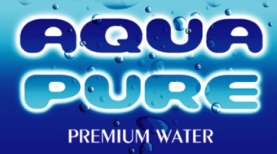 To start water delivery service, call Aqua Pure Premium Water today! Coin-Op Water Refills – 24 Hours a Day! Day or night, you can have pure water in BPA-free bottles using our coin-operated water filling station. Stay healthy and hydrated with Aqua Pure! Aqua Pure is regularly ranked the “Best Bottled Water Company” by readers of The Daily News. We are proud to be a locally owned and operated company. Learn about our Kamloops-based water filtration company. Stay hydrated with water delivery, filtration supplies, and replacement filters. Aqua Pure Premium Water delivered to your home or business.